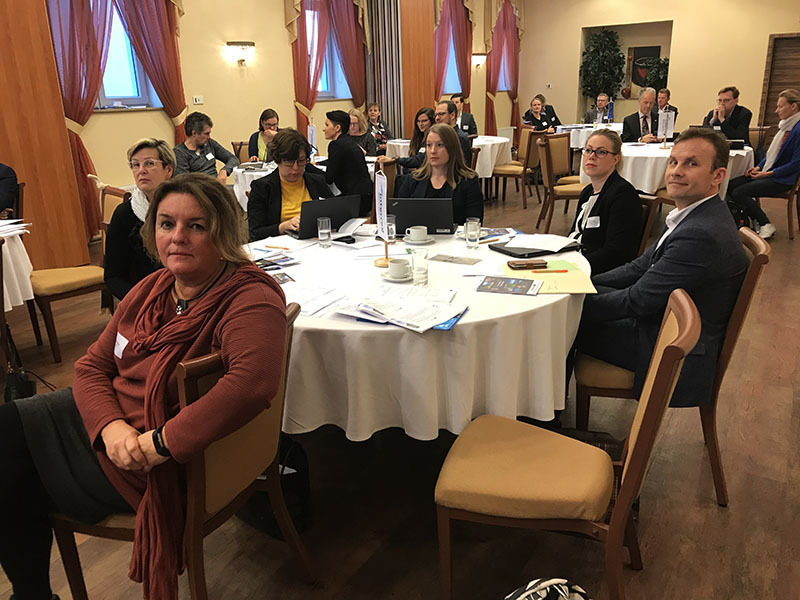 ResQU2 project platform was one of the six platforms invited to the Interreg BSR programme’s Kick-off for the platforms held in Riga on 17 October 2018. The main aim of the meeting was to give tools for the platforms to better achieve their goals, and reach their target groups, but especially, to gain more visibility to their achievements, thus enabling the platforms to contribute to the policy making processes. 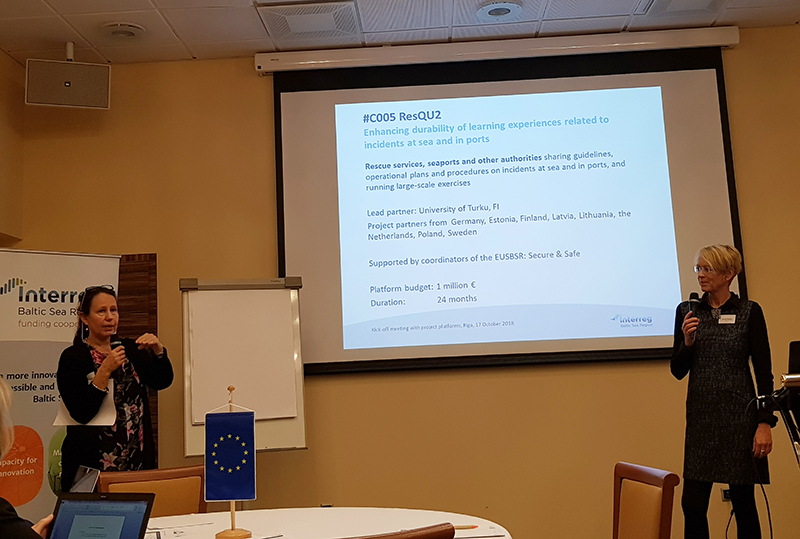 The leaders of the approved project platforms are all experienced in the project management tasks, so the main idea of the Kick-off meeting was to create discussion between the platforms, Interreg BSR programme, and their stakeholders as also the respective Policy Areas (PA) implementing the European Union Strategy for the Baltic Sea Region (EUSBSR) were invited to take part in the round table discussions. The platform representatives were coached to always remember to show what kind of an instrument it is that enables them to create and develop new solutions and co-operate for the good of the region. This way the awareness of the platforms and projects will increase, but also the facts how all the project work benefits the region. The Interreg BSR Programme has identified several challenges in the region and listed ten most obvious benefits the EU funding offers. Nina Jernberg and Andriy Martynenko from PA SECURE, one of the ResQU2 associated organisations, were invited to share their views on the means the platforms could gain more visibility and link their outcome more tightly to the policy making processes. They had selected the joint rescue demonstration of four of the EUSBSR Flagship projects held at the 9th EUSBSR Annual Forum in June as the showcase. The programme Kick-off ended in brainstorming for the Interreg Programme Conference taking place on 9 – 10 April 2019 in Luebeck. Like other platforms, also ResQU2 will organise a session there targeted for rescue and port authorities and decision makers on local, regional, national, and EU level. The Conference will introduce several different projects and all of the six platforms with their goals and achievements to show how the EU funding can benefit the region. The Programme Secretariat expects over 300 participants to this event. Please take not of the date already! 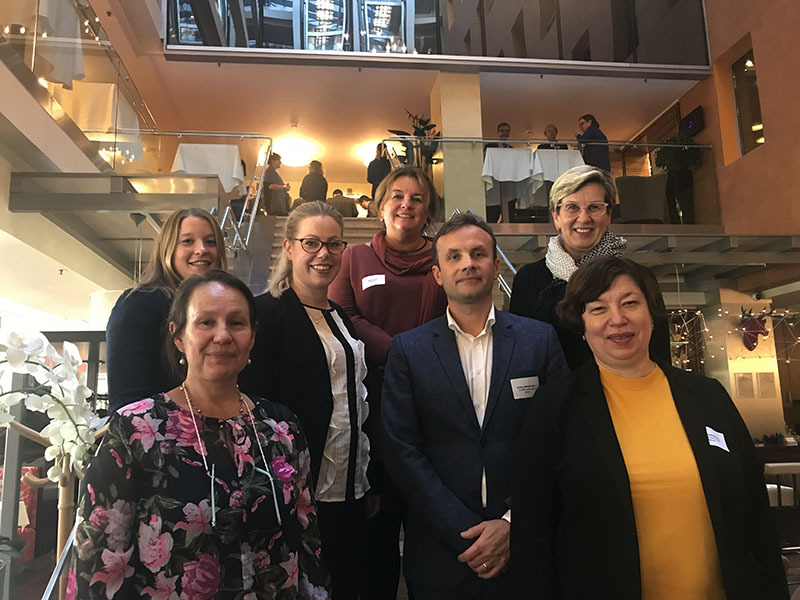 Three of the regular ResQU2 projects, i.e., DiveSMART Baltic, HAZARD and ChemSAR, were represented in the Kick-off as were two of the platform’s associated organisations, PA SECURE and PA SAFE both implementing the European Union’s Baltic Sea Strategy. Copyright © 2019 ResQU2. All rights reserved.